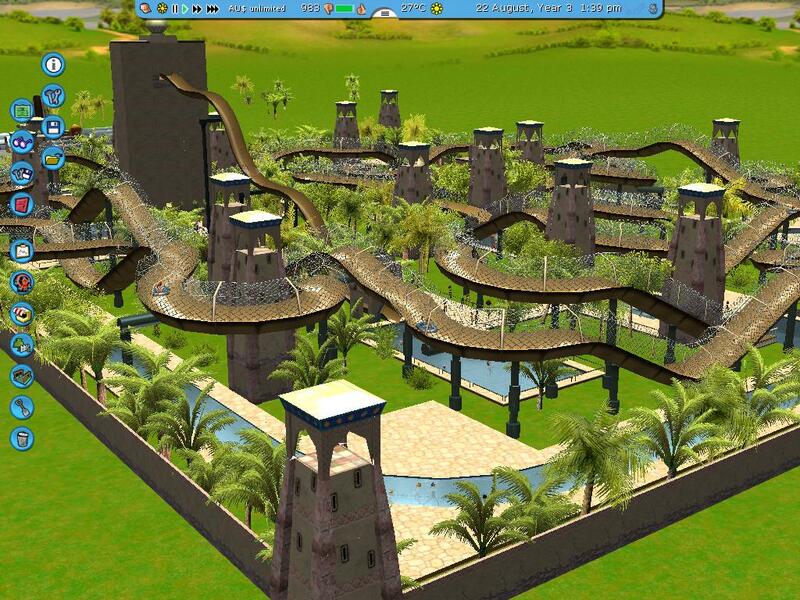 Very nice, especially when considering that you made a very well themed park with RCT3's limited themeing sets. It would be cool to see it all from a few different angles as well. I would download it, but I don't have soaked, so I can't. Well, to tell you the truth i havent found RCT3s themeing very limited at all, they have just gotten rid of a lot of the stuff that wasn't good (such as giant soccer balls and footballs) Ill get some more screens up soon. The themeing sets they do have, for the most part are excellent. The Wild West theme set & spooky set are proof of that, however the generic themeing set leaves a lot out, and there could and should be a lot more different themeing options available.